Where Can You Find High-Quality Images for Social Media? 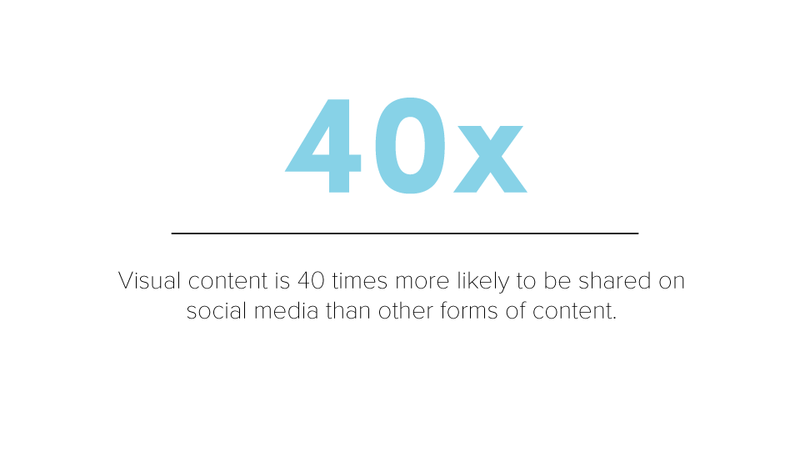 Did you know that visual content is 40 times more likely to be shared on social media than other forms of content? That's probably because consumers are wired to respond to visual content. Our brains process visual information 60,000 times faster than text. Because of all this, people are more likely to engage with and share visual content on social media. Where Can You Find Images for Your Social Media Posts? Many businesses hire professionals to take pictures of their products and capture their brand story, but that isn't feasible for many local business owners. The good news is that you don’t need original images to make social media marketing work. That's where stock photography comes in! Many people think that stock photos are cheesy and they can't possibly look authentic. 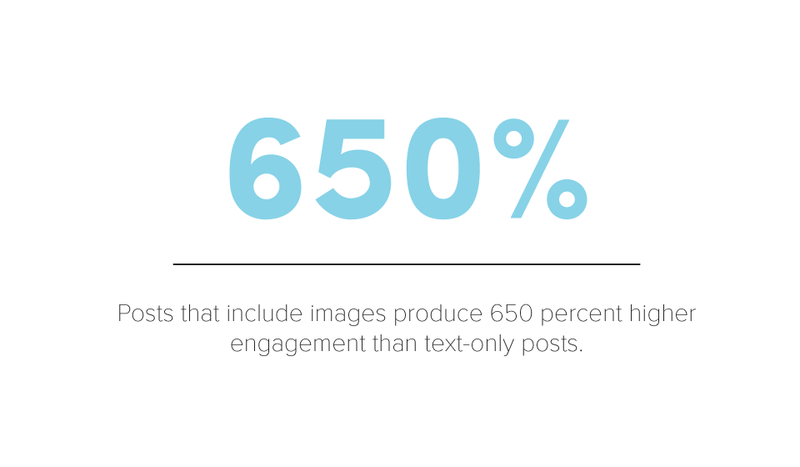 However, many popular brands use stock photos on Instagram and Facebook! In fact, when asked what kind of visuals were most commonly used, 35 percent of marketers said they used stock photos. And your business can use them too! If you look in the right places, you can find great photos that will elevate your brand on social media. Before you dive into stock photography, there are some terms you need to be familiar with. Any image you come across on the web will have some form of copyright or license attached to it, and it’s important that you are aware of what type applies to the images you’re sourcing so you don’t get into any trouble. Images that fall under “public domain” are those that are not protected by copyright law, which means anyone can use and modify them without permission for both personal or commercial purposes. This refers to a set of licenses that allow you to freely use and distribute images. But, there are specific rules governing how you share them. For example, a CC BY license says you can share and modify the image as long as you give credit to the original photographer. A CC BY-ND license, on the other hand, states that although you can use and share the image if you credit the original photographer, you can’t make any modifications to it. For a full list of CC licenses, visit the Creative Commons website. Most stock photos you'll find are probably royalty-free. These photos are sold at a flat rate for all uses. That means that someone who wants to use the photo for a social media post would pay the same amount as someone who wants to use it in a commercial brochure. When a photo has a “rights managed” license, it’s a one-time use photo. The license allows you to use the photo for one purpose only. If you want to use the photo for another project/product, you’ll need to buy an additional license. Now that you’re up to speed on photo licensing, it’s time to start looking for photos! I've broken this down by free and paid options. The free ones are great, but keep in mind that working with a paid subscription service can give you more variety and control over what you find. The photos on Unsplash look so real. You won’t find styled stock photoshoot type images here. Unsplash adds 10 new photos every 10 days, and there’s a pretty good variety! The search function is also easy to navigate, and you can even save photos to collections to keep everything organized. 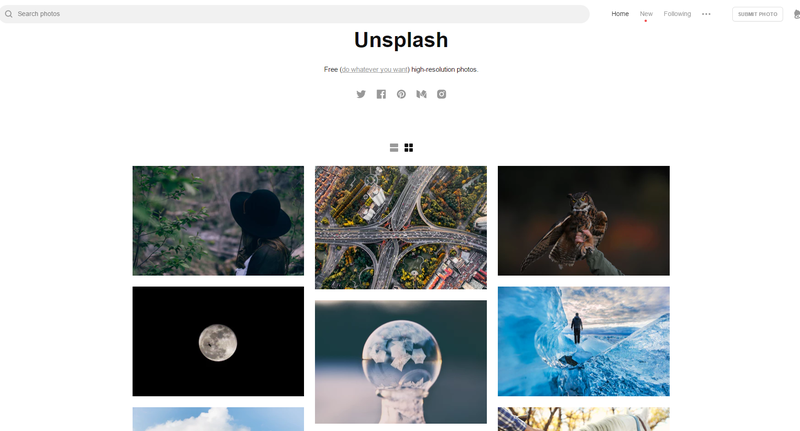 You can also browse through collections that Unsplash and other users have created. On Picjumbo, new photos are uploaded every day. It was started by a professional photographer, so you can feel confident in the images you find there. 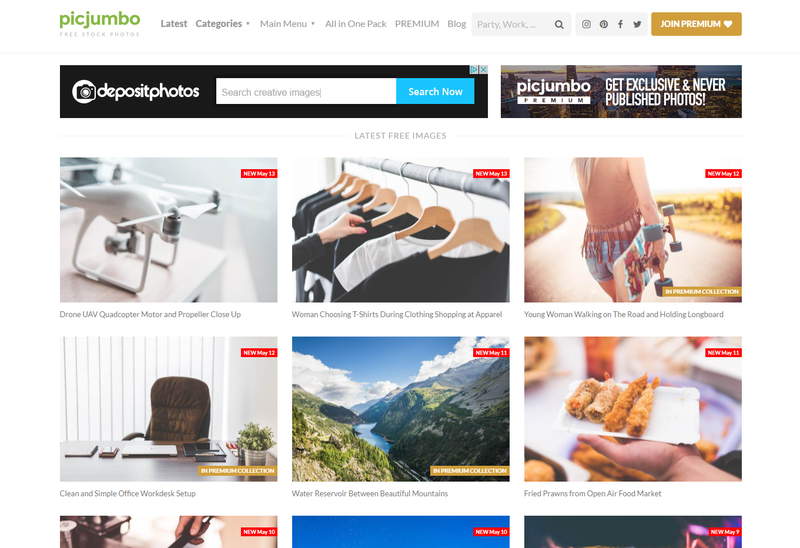 Picjumbo also lets you search for photos by category. It seems like such a small thing, but it makes a huge difference when you're looking for that perfect photo to communicate your message. Death to Stock is on a mission to put an end to bad stock photography. For this site, you'll need an account, but it's totally free! You'll get an email every month with 10+ new photos from the chosen theme. Because of the way it's set up, you get what you get with Death to Stock. It can be hard to rely on getting pics that work for your brand because you won't know what's coming until you get that email. 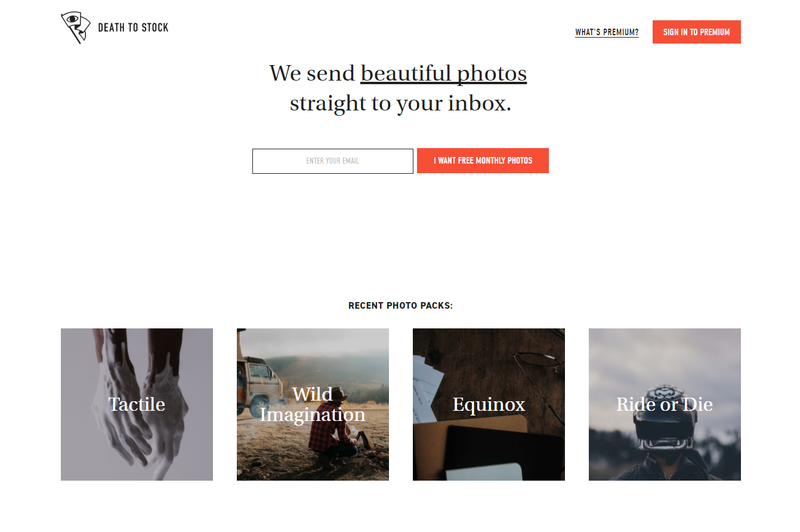 Think of it as a fun surprise, or use it as your back-up if your top photo site doesn't have what you want. Twenty20 is a paid stock photo site. Although most of the photos follow the traditional stock model formula, you can find lots of bright, colorful photos here. You can either use the search bar to find photos or flip through curated collections. And, if you create an account, you can follow certain collections and see the latest photos that match those criteria. The site will also suggest other collections based on what you follow, and you can create your own collections! Twenty20 also has a social media marketing calendar feature with a list of the upcoming holidays as well as a curated photo collection that features images perfect for those occasions. 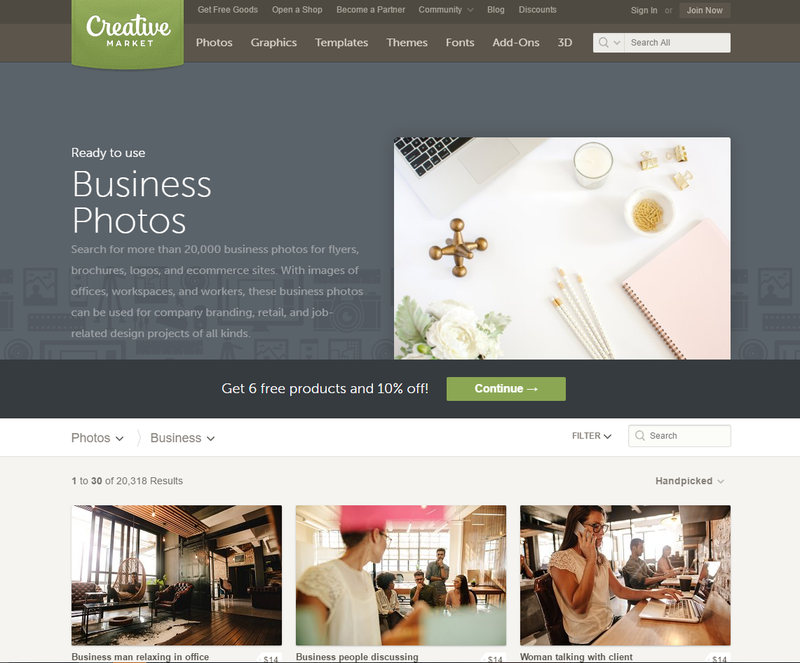 Creative Market is a great resource for many things, including stock photos. Photographers open their own shops on this site, so the price and license will vary between photos. I've seen photos for as low as $5 on the site. The great thing about Creative Market's photos is that you usually won't see them anywhere else, and you purchase the photos directly from the photographer. Now that you know where to find great photos, let's talk about what you need to create an engaging social media image. Tell your story. Storytelling is one of the most powerful ways to engage your followers. This means the photo you choose needs to be relevant to your business and help promote what you are all about. The photo should visually tell your story, and then you can use the post or caption to provide some more context. Be on brand. Any photos you share on social media should be in line with your brand standards. Make sure the color scheme in the photo matches your brand's look and feel. If you add text to the photo, it should be in your business's chosen font. In some cases, it might even be a good idea to add your logo so that people look at the photo and know it was your business that shared it. Include a call to action. Whether it's in the text on your image or the caption, you need to give your followers something to do. Let them know how they can interact with you and you'll score big on engagement. For instance, you could ask them to share the photo or tag a friend. Want to learn more about RevLocal's social media and content marketing services?